Our Clergy Retreat and Synod is fast approaching. 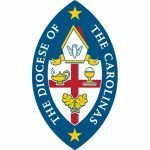 All Saints Anglican Church in Charlotte, NC will host us March 14-16. Thursday, March 14 – Clergy Retreat dinner, 6pm. Friday, March 15 – Clergy Retreat, 9am – 12:30pm, Worship Service and Delegate Dinner, 6pm. Saturday, March 16 – Synod, 9am – 12:30pm. Closest hotel to All Saints (5 minute drive). Special rate ends February 14. 12 minute drive to All Saints. Special rate ends February 22.